This primer is designed specially for enabling you to quickly revise your basics, which you have already learnt in your previous classes. All you need to do Is to practice sincerely & understand the fundamentals dearly. Mathematics is nothing but lgram of aptitude, 20 metres of focus, 40 hours of determination, 60 hectares of hard work & 80 litres of passion, that guarantees you 100% success. 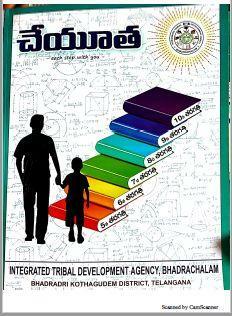 ICheyuthal Is an attempt to handhold & remove your fear of Maths, making you love the subject. Your teachers will hold your hands at each step of each problem, until you arrive at a solution. Every difficult problem can be solved through simple & systematic steps; which we shall help you practice.